Today, I’m going to begin a series of in-depth articles about our core principles anchor ideas as a charity. Today’s topic: Sew Powerful’s Unique Funding Model and how we have a 1.35% overhead rate. Background: How a charity’s Administrative & Fundraising costs gets paid is an age-old dilemma. We have a novel solution that is very uncommon – and it should be explained and understood by our donors and partners. Let me explain. Administrative & Fundraising: These expenses include things like marketing, management salaries, fundraising costs, office rent/expense, travel costs, legal fees and other non-program related costs. For the rest of this article I’ll abbreviate these costs as AF costs. It’s also commonly called Overhead costs. Program: The other type of costs in a non-profit are Program costs. Program costs are the expenses directly associated with the actual work of serving/fulfilling the charities mission. Sadly – there are a lot of inappropriate expenses that can occur via this model. The largest of which is frequently the CEO salary because unjustifiable. But many other excesses quickly find their way into AF budgets. The bigger the organization – the more these can become unjust. It’s amazing what even the most devout and conservative Christians can justify. Their mentality is – because they are helping so many more people around the world – they are justified in spending so much donor money on non-program work. Of course, this is such a common problem that many watch-dog organizations have popped-up to try to help shed light on the problem. Significant Percentage Of Giving: A percentage of donor dollars is ear-marked to pay for these costs. Typically, these are made obscure to donors by the use of creative or unclear book keeping. Commonly they can be between 15-30%. A ‘faux’ fund: One model popularized by a really popular water charity is to simply have two groups of donors. One group funds all the AF costs and the other group funds the program costs. It’s an artificial separation of expenses for marketing/PR purposes. But when combined into one pie chart, you still have a percentage of donor dollars going to AF and another percentage going to Program. Deputation: One classic church model is to have each person in a charity raise their own support from churches, family members, friends. Missionaries frequently use this model. Pass-Through Giving:Another common model is to obscure the true AF costs by having a United States charity that is actually only a marketing operation. So they raise money, spend it on AF costs, and then contribute the program budget to another charity that does the actual work. The problem of course is, the 2nd charity also has AF costs -and they take those out of the dollars they receive from the first charity. Of course, this goes un-reported to the original donors. So layer after layer of AF costs are funded, each time diminishing the actual amount that will go directly to program work. Our Parallel Structure Model: In our opinion, each of the common models serious negatives, so we’ve come up with something different. When Cinnamon and I began supporting Esther and the Needs Care program, we did it from our business earnings. We were, at the beginning, the only donor. It was simple. We’d make some money on eBay and send the money. The only “administrative” expense was the wire-transfer fee from Bank Of America. They would charge us $50 to do a wire. And at the beginning, we only had $100 a month to give. So $50 would go to Bank Of America and $50 would go to Esther. Of course we hated this situation. We were the worst charity on the planet – half of our budget went to AF costs and half went to Program costs. So we began a mental and financial mission to do our best to zero out the AF costs. It didn’t take too long to find a way to get Esther 100% of the $100. That felt so good – that it became our default setting – we wanted 100% (or as close as we could get) to go to program costs with little or nothing spent on AF Costs. By 2010 we were growing as a business and in terms of our monthly support for Needs Care. We could have kept this ministry effort to ourselves and simply setup a Family Foundation or Corporate Foundation. Those are used when there is one (or a few) donors involved. But we decided to set up Sew Powerful as a formal 501C3 non-profit organization and to begin including other people. 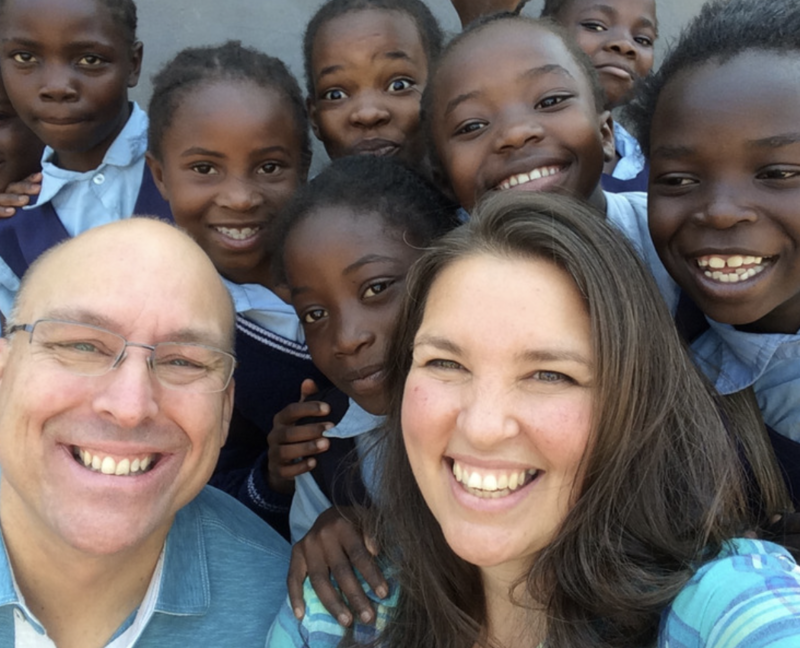 We wanted to tell Esthers story – and advocate for the Moms & Children of Ngombe Compound. A 501C3 organization is used when you plan on having lots of donors involved in a charitable program, so that is what we set up. But we wanted to do everything we could to avoid the obvious pitfalls associated with how other charities raise money to cover AF costs. We were passionate about as much of the giving going to Program costs as possible. Our company will cover all the AF costs we possibly can. This includes salary dollars for staff, marketing costs, travel and other administrative costs. These are not counted on the Sew Powerful books as expenses. They are not technically a donation reported by the charity. They are company expenses. Some day we might outgrow this model, but we are almost ten years in – and we are doing pretty good. The Sew Powerful AF Costs for 2017 were 1.35%. We haven’t finalized the 2018 numbers officially yet, but we’ll report them to you when we do. Our goal is to keep them as low as possible. We won’t add United States staff to Sew Powerful for as long as possible, but instead, run the organization with volunteers. That means we need quality donors to help us do the work, raise support and increase awareness. We call this a parallel structure because we are running the 501C3 and the company together. By its nature, this model means the charity has been, and will continue to be, limited in its growth because we are not using donor dollars to fund AF costs like other charities do. But it also means that your donations are going to fund program work at a rate much higher than if you gave through other charities – and although we do have overhead costs, we are on a mission to make them as close to zero as possible. I hope this sheds a little light on the topic of giving today.